I am interested in solving real world problems using computer vision and machine learning. At Adobe, I work on research and tech transfer projects related to deep learning, image processing and intelligent systems. Before joining Adobe, I studied computer vision with Prof. Stan Sclaroff at Boston University and got my PhD in 2016. [03/15/2019] Two papers accepted at CVPR 2019. [03/15/2019] Our paper SmartEye received Best Paper Honorable Mention at CHI. [02/06/2019] Received Adobe’s Tech Excellence Award with three other amazing colleagues. [01/01/2019] One paper on Layout GAN gets accepted at ICLR. [01/01/2019] One paper on Mobile Composition Guidance gets accepted at CHI. 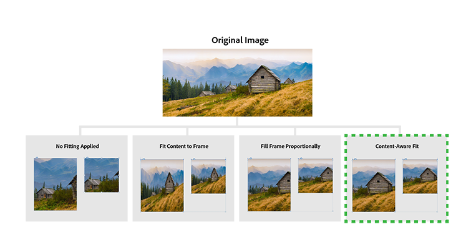 [10/11/2018] The Content Aware Fit and Content Aware Crop feature are shipped in InDesign CC and Illustrator CC (Demo). I developed the key auto cropping technology behind these features. [09/17/2018] Our paper on pointer networks for sequence analysis accepted at NeurIPS. [08/11/2018] Our paper on multi-touch guesture control for drone photography will be presented at IROS 2018. [08/11/2018] Our paper on shallow DoF effect form a single image gets accepted at Siggraph Asia. [07/04/2018] Three papers get accepted at ECCV. Lu Zhang, Jianming Zhang, Zhe Lin, Huchuan Lu, You He. “CapSal: Leveraging Captioning to Boost Semantics for Salient Object Detection”. In Proc. IEEE Conference on Computer Vision and Pattern Recognition (CVPR), 2019. Siyuan Qiao, Zhe Lin, Jianming Zhang, and Alan Yuille. “Neural Rejuvenation: Improving Deep Network Training by Enhancing Computational Resource Utilization”. In Proc. IEEE Conference on Computer Vision and Pattern Recognition (CVPR), 2019. Jianan Li, Jimei Yang, Aaron Hertzmann, Jianming Zhang and Tingfa Xu. “LayoutGAN: Generating Graphic Layouts with Wireframe Discriminator”. In Proc. International Conference on Learning Representations (ICLR), 2019. Zijun Wei, Boyu Wang, Minh Hoai, Jianming Zhang, Xiaohui Shen, Zhe Lin, Radomir Mech and Dimitris Samaras. “Sequence-to-Segment Networks for Segment Detection”. In Proc. Advances in Neural Information Processing Systems (NeurIPS), 2018. Yufei Wang, Zhe Lin, Xiaohui Shen, Scott Cohen, Jianming Zhang. “ConceptMask: Large-Scale Segmentation from Semantic Concepts”. In Proc. European Conference on Computer Vision (ECCV), 2018. Conten Aware Fit in InDesign CC 2019 [Youtube]. The key technology behind this is an automatic image cropping algorithm we started to develop years ago. Since then, the algorithm went through several iterations and I was the main developer for the latest version. 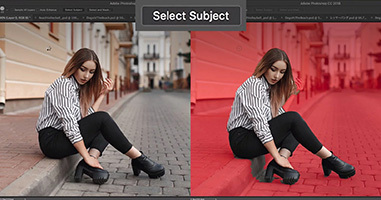 Select Subject in Photoshop CC 2018 [Youtube]. Deep learning based salient object detection with high boundary accuracy. 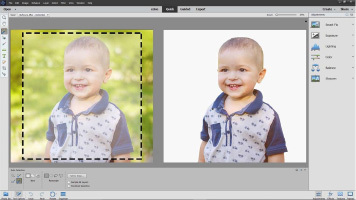 This is one of the first few Sensei powered features in Adobe flagship products. I designed and developed the deep learning algorithm behind this feature. Media coverage: [PetaPixel], [TechCrunch], [Engaget]. Auto Selection in Photoshop Elements 2018 [Youtube]. Deep learning based interactive image segmentation. I designed and developed the deep learning algorithm behind this feature. Lijun Wang, Dalian University of Technology, 2017. 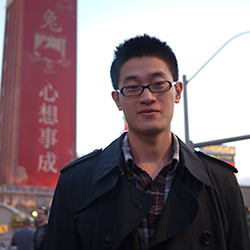 Jianan Li, Beijing Institute of Technology, 2017. Zhe Wang, UC Irvine, 2017. Rameswar Panda, UC Riverside, 2017. Wei-Chih (Wayne) Hung, UC Merced, 2017. Zijun Wei, Stony Brook University, 2017, 2018.